It is a few years too late, but Ram has finally made a Truck for Walker Texas Ranger. Ram has introduced a new concept truck. 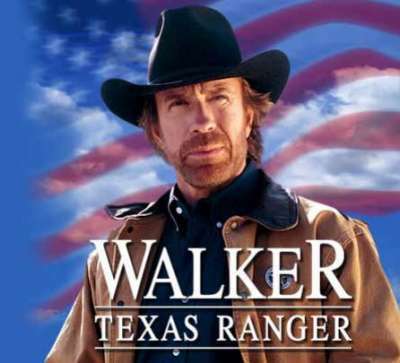 It goes by the name of Texas Ranger and it is impossible not to envision a marketing campaign consisting only of Chuck Norris standing in front of it while an eagle flies overhead. Maybe add in a tumbleweed blowing by to complete the image the name alone brings up. The exterior design of the Texas Ranger includes a nod to the Texas Ranger star badges. The unique badging is based on the Mexican five-peso coin which was the basis for the badges used by the first Texas Rangers before it turned into the star-and-wheel design that is known and used today. 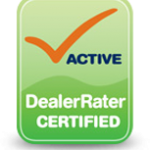 This isn’t just featured on the badging, but also on the front driver and passenger-side fenders. The color scheme used is a bright white and silver metallic, playing to the idea of the white hat and silver badges of the good cowboys. The interior continues a cowboy aesthetic with leather etching and also having the badging that is a callback to the Ranger badge. There is even a note on the instrument panel to the founding year of the Texas Rangers in 1823. Ram trucks have been getting a lot of acclaim from Texas with the 1500 being named the “Truck of Texas.” It makes sense that the company would be doing what they could to reach out to the cowboy culture associated with Texas and to the iconic Texas Rangers. To get more information on the 2015 Ram 1500, contact us at Bayside Chrysler Jeep Dodge. View our new and used line-up on our website. Be sure to download our mobile app to keep track in real time of your vehicle when it is brought in to be serviced. Like us on Facebook, follow us on Twitter, and subscribe to us on YouTube to see more auto news and monthly specials.